A recent study has shown there’s more to the old “it take a 3500 calorie deficit to lose a pound” formula. 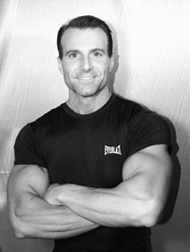 I was going to write about this, but found that my favorite fat loss guru, Tom Venuto, dove head first into the subject. Dr. Kevin Hall, an investigator at the National Institute of Health in Bethesda has done some interesting research about the mechanisms regulating human body weight. He recently published a new paper in the International Journal of Obesity that throws a wrench in works of the “3500 calories to lose a pound” idea. Some of the equations in his paper made my head hurt, but despite the complex math he used to come to his conclusions, his article clearly prompts the question, “3500 calories to lose a pound of WHAT?” His paper also contained a lot of simple and practical tips you can use to properly balance your caloric intake with output, fine tune your calorie deficit and help you retain more muscle when you diet. 3500 calories to lose a pound has always been the rule of thumb. However, this 3500 calories figure goes back to research which assumed that all the weight lost would be adipose tissue (which would be ideal, of course). But as we all know (unfortunately), lean body mass is lost along with body fat, which would indicate that the 3500 calorie figure could be an oversimplification. Lean people tend to lose more lean body mass and retain more fat. The metabolizable energy in fat is different than the metabolizable energy in muscle tissue. A pound of muscle is not 3500 calories. A pound of muscle yields about 600 calories. If you lose lean body mass, then you lose more weight than if you lose fat. If you create a 3500 calorie deficit in one week and you lose 100% body fat, you will lose one pound. So, based on this info, should you throw out the old calorie formulas? Well, not necessarily. You can still use the standard calorie formulas to figure out how much you should eat, and you can use a 500-1000 calorie per day deficit (below maintenance) as a generic guideline to figure where to set your calories to lose one or two pounds per week respectively (at least that works “on paper” anyway). Usually, we would suggest starting with a conservative deficit of around 15-20% below maintenance. Based on this research, however, we see that there can be a big difference between lean and overweight people in how many calories they can or should cut. If you have very high body fat to begin with, the typical rule of thumb on calorie deficits may underestimate the deficit required to lose a pound. It may also be too conservative, and you can probably use a more aggressive deficit safely without as much worry about muscle loss or metabolic slowdown. If you are extremely lean, like a bodybuilder trying to get ready for competition, you would want to be very cautious about using aggressive calorie deficits. You’d be better off keeping the deficit conservative and starting your diet/cutting phase earlier to allow for a slow, but safe rate of fat loss, with maximum retention of muscle tissue. Hall, KD., What is the required energy deficit per unit of weight loss? Int J Obesity. 2007 Epub ahead of print. McArdle WD. Exercise physiology: Energy, Nutrition, and Human performance. 4td ed. Williams & Wilkins. 1996. Wishnofsky M. Caloric equivalents of gained or lost weight. Am J Clin Nutr. 6: 542-546.